The management team from Vanity Salon in Houston, Texas. 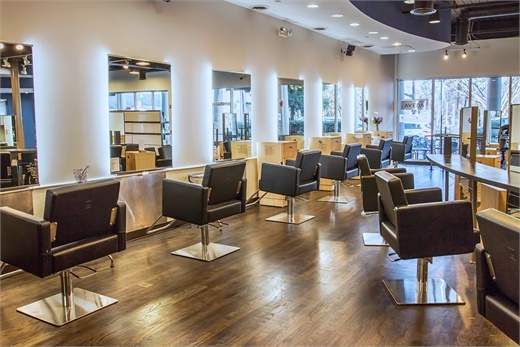 A warm welcome, a refreshing beverage and the close personal connection a client feels with a salon can be as important in retaining her business as the precision of her hair cut or the dimension of her color. Customer Service impacts the client’s overall experience, and the salons and spas that deliver it with each and every visit boost their overall sales as well as client loyalty. A look into Aria Salon Spa Shoppe in Alpharetta, Georgia. “The $500 Experience Concept visuales what a $500 haircut experience should look like from the first point of contact to the last. We strive to bestow the same experience at a fraction of the price. It starts It includes scripting dialogues, standardizing consultations, ensuring the clients are offered the stress relieving treatment and finish with a pleasant checkout process. 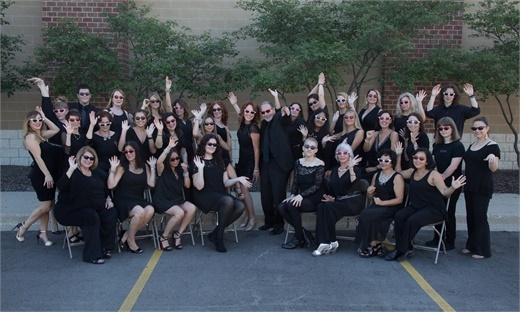 The team from Avalon Salon Spa in Deer Park, Illinois. 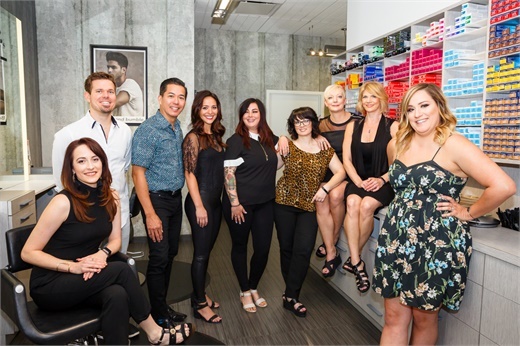 Maggie DiFalco and the team from Maggie The Salon in Pembroke Pines, Florida. The team from Mane Attraction in Phoenix, Arizona. The team from Salon M2 in Charlotte, North Carolina. 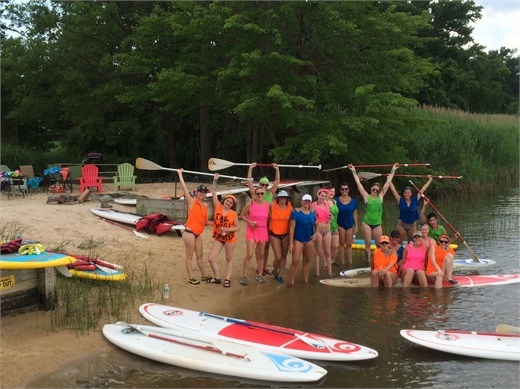 On retreat with the team from Soiree in Hunt Valley, Maryland. “Our men’s area is private, features a dark color scheme, oak furniture and a putting green. It’s quieter than the hustle and bustle of the main salon. We provide a hot-lather shave and cucumbers on the eyes, something men generally won’t ask for but when we provide the service, they love it. 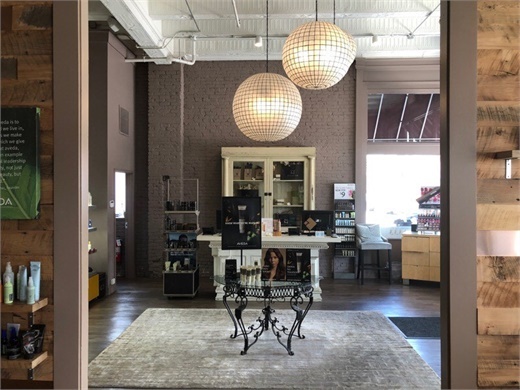 A look into one of the locations of Square One Salon and Spa in Dayton, Ohio. “We have a separate bridal coordinator at every salon whose job is to make sure everything runs perfectly for these guests. Bridal parties work exclusively through this person so brides can depend on a single point of contact. Consistency helps maintain a smooth, easy process during a hectic time. 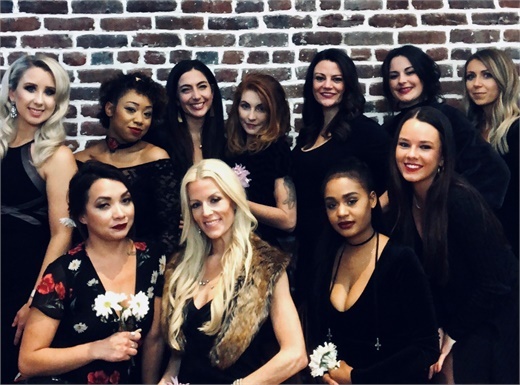 The team from The Lordis Loft Salon and Day Spa in Charleston, South Carolina. Fiona and Rory Tolunay, owners of Vanity Salon in Houston, Texas.